He is currently heading his own way as a freelance trainer, set up a professional chef's counter for coffee shops and is a roaster for the cafe brand under construction LONG TRIP COFFEE with a 6 year experiences in roasting. 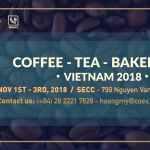 His purpose when come to COFFEE EXPO VIETNAM 2018  is to promote the quality of the brand name coffee beans roasted LONG TRIP COFFEE with stable materials from regions such as Da Lat, Daknong, .. In addition to long-term training he would like to introduce the Barista training program according to customer needs. 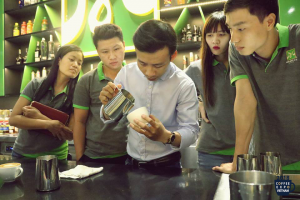 With the desire to contribute products and human resources for the coffee industry is constantly developing.